Table time is so much fun with this “uniquely yours” artistic treasure! 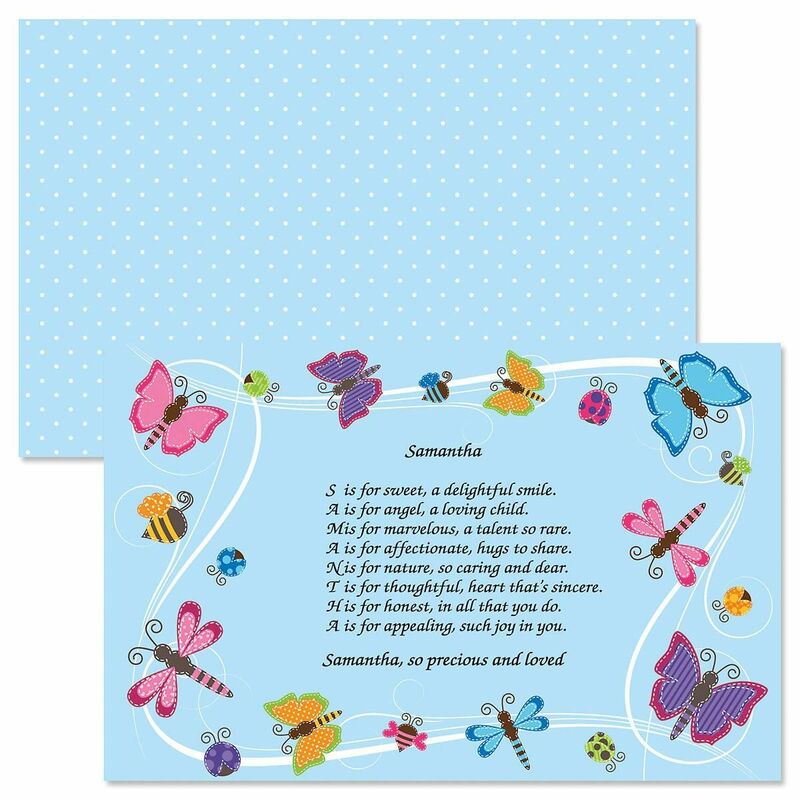 Using each initial of your child's name, we'll write a customized poem in rhyming couplet and feature it on a designed, laminated 11" x 17” placemat. For names with odd numbered letters (ex. Sally or Brent), we'll add a final line of prose to complete the rhyming verse.